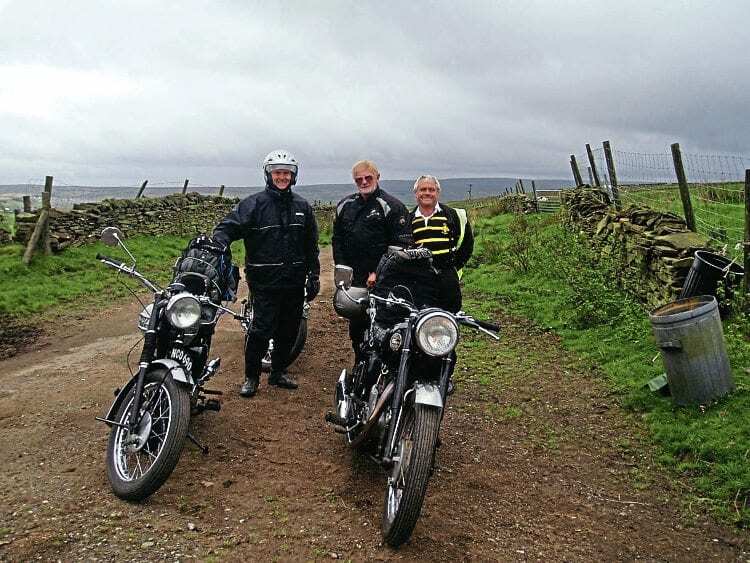 Four of us made the trip from Cornwall to Derbyshire – me on my 1959 Velocette Venom, Allan on his ’64 Triumph Trophy and Sid on his ’62 Norton 350. Plus Gunner, who was due to bring his Bonneville, but that seized just before departure, so he got special permission to ride a Kawasaki instead. 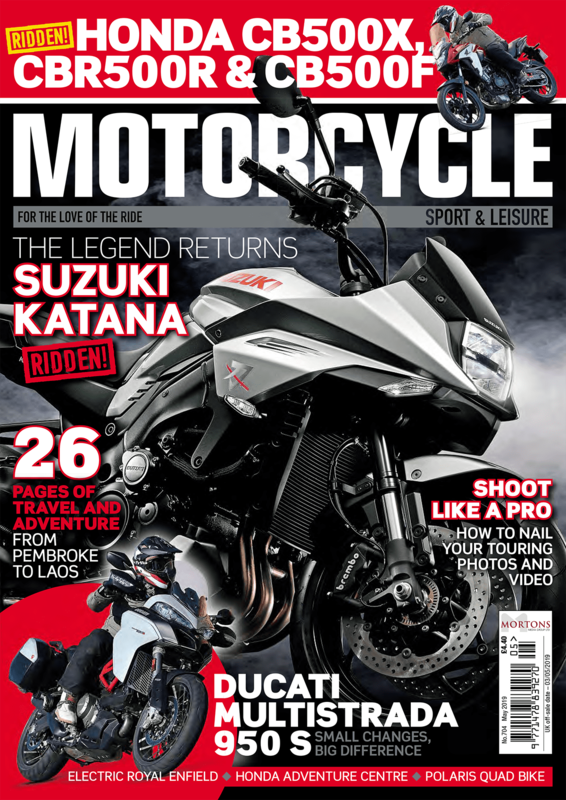 The Japanese machine had a tendency to lie down at times – not the bike’s fault, more that our mate has a habit of kicking the side stand down before stopping. It looks good when it works, but sometimes he misses, and rider plus machine crash to the deck, making a spectacle of both. Well, he is 79. I have to admit that we didn’t ride the 400 miles up from Cornwall, instead using a trailer and van. 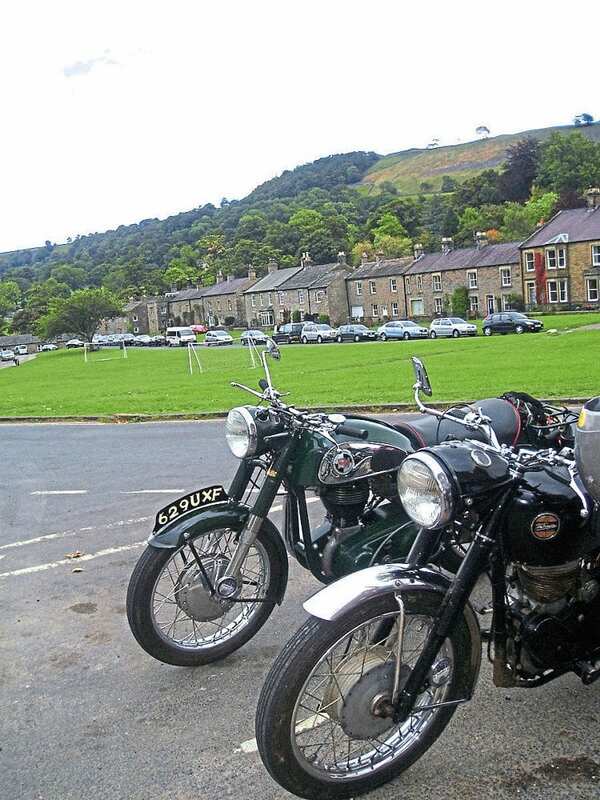 But we did get a lot of riding in up there, using Buxton, then Meltham, then Reeth as bases for a series of day rides. 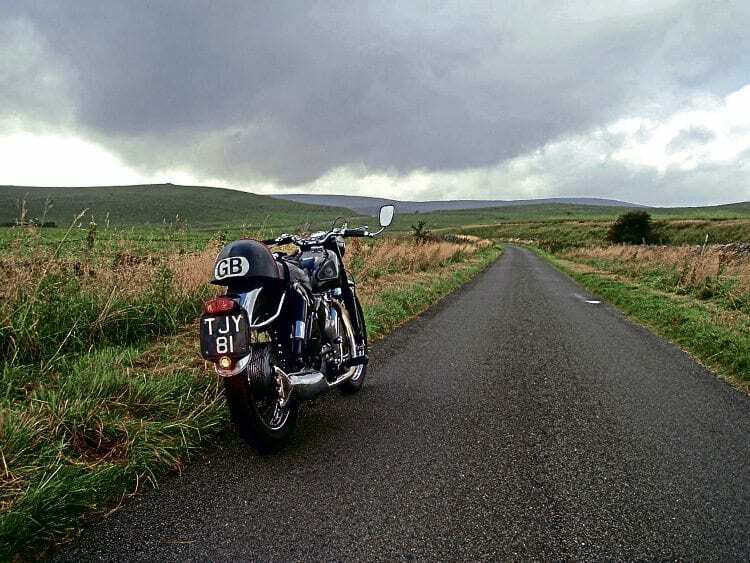 350cc Norton and 500cc Velocette proved perfect for exploring the Dales. We weren’t disappointed. The villages were cute, the dry-stone walls (we still called them hedges) to be marvelled at, and the local people super-friendly. We dived up every ‘unsuitable for vehicular traffic’ road we could find, some of them not Tarmac’d but perfectly ridable on an old single. We also got totally lost in the process, but that was part of the fun, and we did have ‘Jane’, our TomTom voice to guide us back to base. Although it was September, accommodation proved tricky a couple of times as we’d not booked anything, but we did find a brilliant B&B in Meltham as our second location. The landlady’s hubby has a Ducati Light 900, Honda VFR and BMW boxer, but keeps them in the garage at weekends due to the racers who come out from nearby cities. This seems to be a bit of a problem up here. 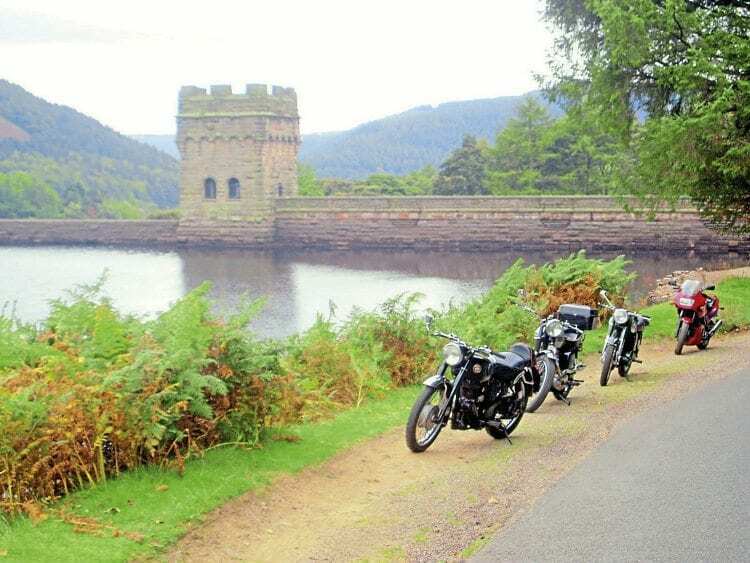 We rode the Snake Pass, where local police are reputed to be very hot on motorcycle riders. Then we learned that two riders had died just the previous week, one going at such a speed that he took out a cyclist as well. Is it any wonder that the police use a helicopter? 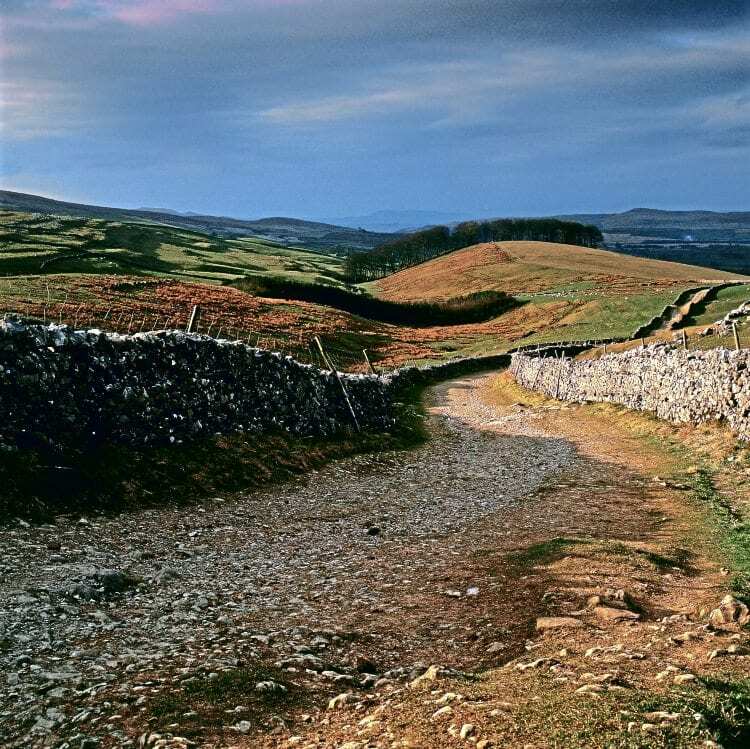 Anyway, the area around Meltham is fantastic, on the edge of the Peak District National Park and crossed by the Pennine Way and coast to coast trail. This means happy people in walking boots frequent the pubs, and you can see why they come here. 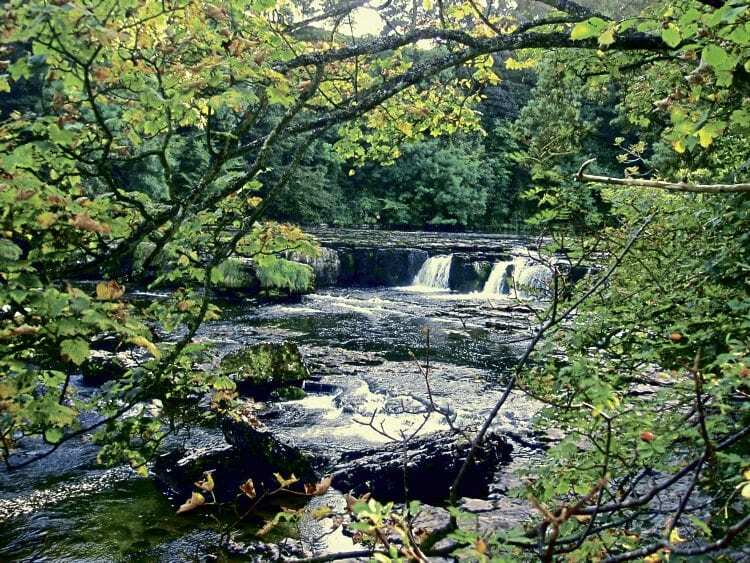 This part of Yorkshire is stark and wild, a vast, magnificent landscape very different to our compact Cornwall. Three classics and a Kawasaki pause at Derwentwater. On one of the days, we visited Bolton Castle, built in 1399 and still lived in by the same family, while Sid found the highest railway station in England, at Dent. Riding back over the moors was the finest trip of the week, not once using or even crossing a main road in 45 miles, and at times riding a ridge, looking down 150ft each side with just sheep for company. And it was magic to hear the sound of the bikes bouncing of those dry-stone walls, the pulsating thump of the Velocette contrasting with the rasping echo of the Trophy and almost two-stroke yowl of the high revving Kwacker. 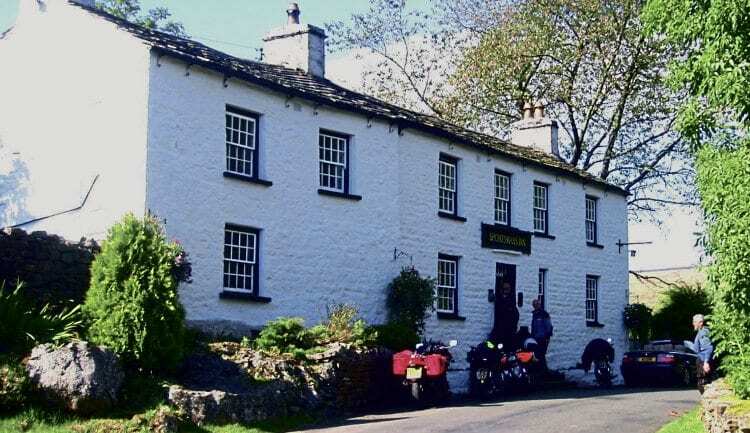 With our current B&B booked up for the weekend we had to move on again, and found beds at a place in Reeth, next door to a pub and with safe parking for the bikes – what more could you want? Sportsman Inn at Cowgills was welcoming. The weather was turning good, bathing the Ribblehead Viaduct in sunlight while Allan led us into another section of this vast landscape, straying into Cumbria. Here we met another Velo fellow, this one on a Clubman he had ridden 200,000 miles. He was from Newcastle, on a day visit to the Dales, which sounded a long way to us, but looking at the map it’s not that far. Still, all due respect to a long-term Velocette owner who had adapted the bike in his own way. We didn’t have any bike problems either, except for a puncture on the Norton – that worked out quite well, as Sid was the only one of us who had brought a tube! The boys couldn’t resist tracks like this. 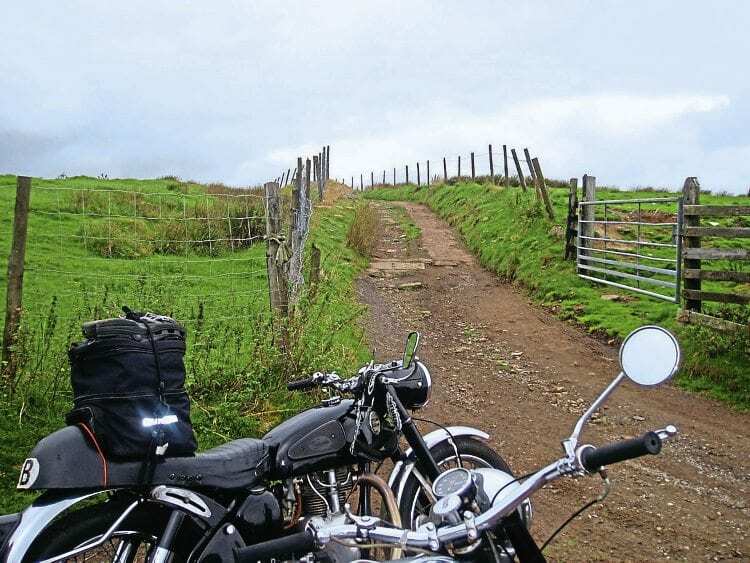 It was time for us to head back to Buxton, and it was only riding through the outskirts in heavy Sunday traffic that our faithful British bikes started to complain. They don’t like stop and go… like us, they prefer the open road. Three go mad in Yorkshire, and live to tell the tale.